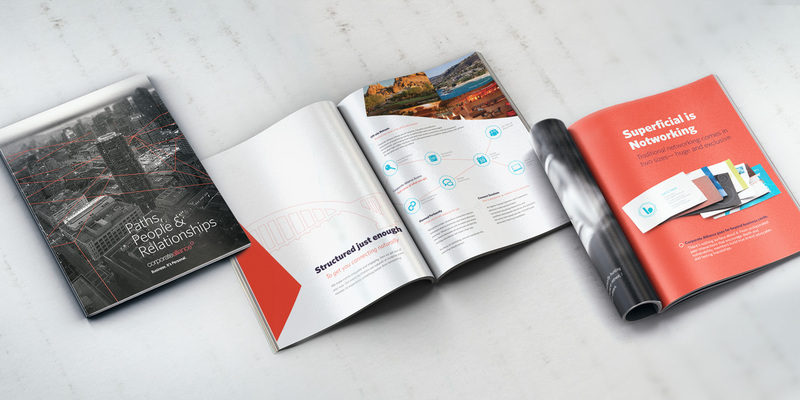 Corporate Alliance needed a compelling large scale brochure to educate and entice a new geographic market. 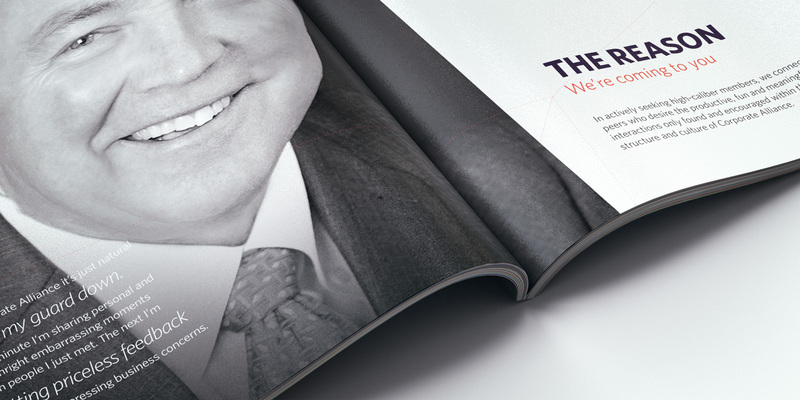 After researching important opportunities, this project pulled together some of the greatest talent in Utah Valley to create headlines, imagery, layout and ‘sharability’ that would plant the seeds of intrigue and eliteness for Corporate Alliance. This brochure has been a great ongoing tool to help potential investors and clients understand and remember the value of Building Business Relationships. Design — Seth Taylor, Matt Milette while at Eli Kirk. Im looking for quote for design and copywriting for tri fold brochure for a security guard company.